Are we supposed to rotate our running shoes? 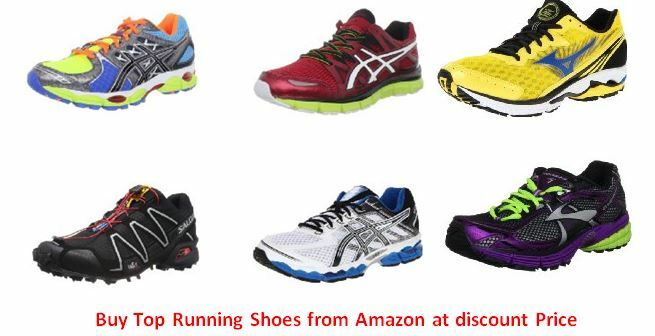 QUESTION: What’s your opinion or experience…We are supposed to rotate our running shoes between 2 or maybe 3 pair while training…but do they need to be the exact brand & style of shoes…? I have several brands, different goals from day to day. I had mizunos, Asics and Sauconys while marathon training. Now I have all those plus a pair of brooks. It gives your feet a break; I would even venture to say it helps prevent blisters. I have 3 pairs.One pair of trainers for workouts. (Asics GT-2000). A pair of Cloudracers for long races 5k+ and a pair of pumas for races on the track (typically 3k and mile races) Do I need to be rotating trainers? No, I have different brands that are fitted for me. Just bought two new pair. My wife wasn’t happy,lol. I’m running in New Balance, Saucony, and Nike free. Mixing it up a bit. Different- I run brooks, Saucony and Asics. OMG! I don’t rotate at all and didn’t know this info!!! Am I screwed? I have Altra Instincts, Saucony Kinvarras, Saucony Virratas, and Saucony A5 racing flats in my rotation right now. I think I need a part time job just to pay for rotating shoes! I never knew this either until I fractured my foot after a half and working with my PT. He explained that your feet get worn into one pair of shoes and its good for your muscles and bones to get a break by switching up the shoes you run in. I can only afford one pair at a time! I found shoes I like. Bought 2 pairs and rotate them. I use the same pair until it’s time for a new. For me, it’s usually around 500 miles. When your shoe’s worn out and the soles no longer support you, it’s time for a new pair. I have a minimalist pair for speed work/ short runs (under 5 miles) and a traditional pair for longer distances. I have been running for 12 years I have 1 pair of trainers one pair of cross country flats and one pair of road racing flats at a time! I have 2 pairs karhu steady and pearl izumi em3 I switch depending on distance if I go back to my saucony I pay for it with sore ankles which prevents me from running. I wear a cushier shoe for training (your toes need support for pushups and planks) and a lighter flatter shoe for races. I rotate two pairs of Brooks Ghost 6s but only because the original pair got too small when running distances over 7 miles and caused black toe nail after a half. I use the larger pair on long run days. Normally, I just wear one pair until my knee hurts then I get another pair. I rotate New Balance and Saucony currently. Running is not an expensive sport unless you race a lot. I choose to cut back on racing and can afford the shoes without cutting other things out of my budget. I have bought many of my shoes on close out sales when the new models come out. Also any sport, activity or hobby requires some cash; golf clubs and green fees, tennis club fees, balls, shoes etc, football pads, helmets, socks and shoes. No sport is free. I rotate between skechers go run 2, mizuno ekidens, newton gravity and Saucony Kinvara. Huh, I thought we were supposed to stick to one brand of shoe while training. I’ve used the same pair of Asics for training for last year’s half and this year’s one. I ordered a new pair of Asics and will get them this week but didn’t know I should be rotating. If you rotate shoes how do you track how much mileage you have on them to know when to buy new ones? I use ismoothrun it’s an iPhone app that tracks your runs and you can select what shoes you are wearing and it keeps track for you! I use two pairs depending on the distance and type of work out. As far as tracking mileage per shoe set, I can feel when I need to replace shoes and use the tread / bottom to gauge. I keep a running journal where I write everything from the temperature and wind speed to my distance, min/mile, any cross training I may do each day and notes on how the run felt, any pains that I may notice, and which shows I ran in. This entry was posted in Question and Answers by Runners, Running Shoes and tagged Running Shoes. Anyone running in Saucony Kinvara’s?